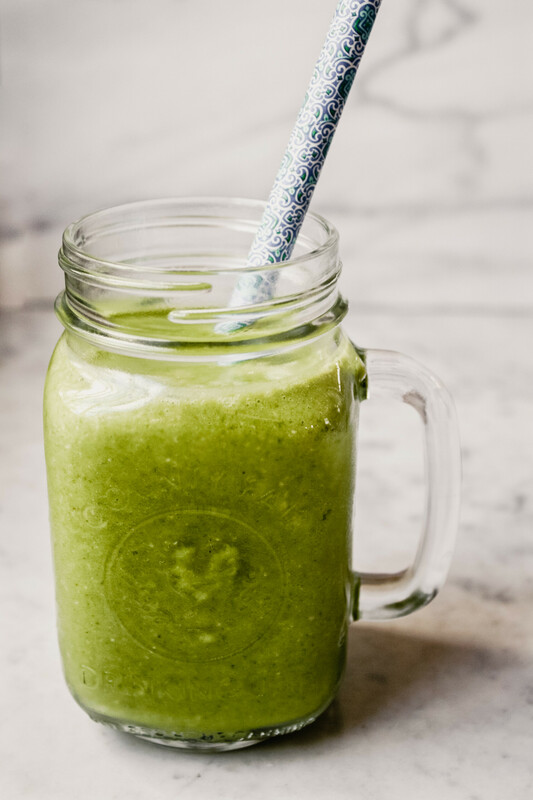 Just five ingredients is all you need for this simple kale smoothie! 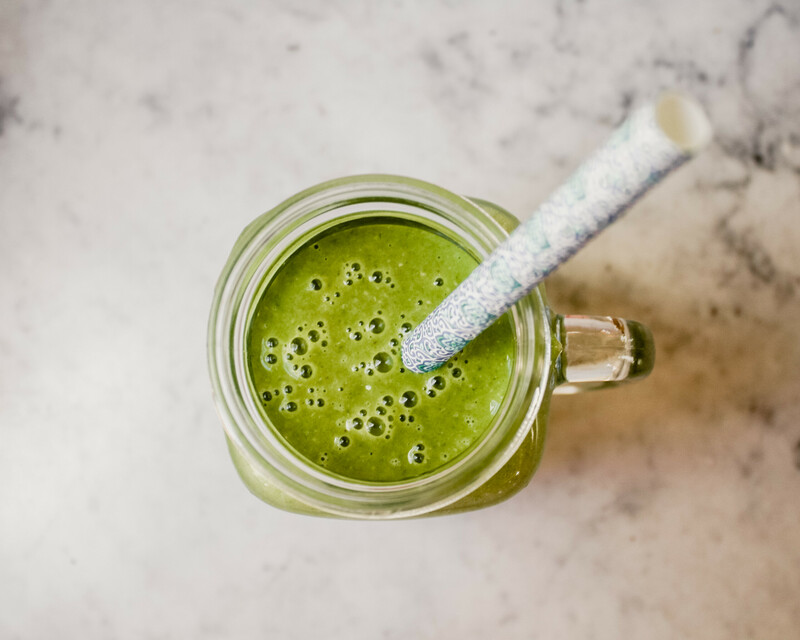 Offering protein, veggies, fruit and a bit of whole grains, this healthy smoothie is the perfect way to start off the day! 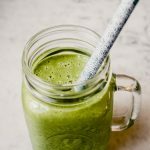 How do you make a simple kale smoothie? Always add your liquid to the blender first, this helps everything blend up smoothly without having to aid the blending process too much. Use fresh or frozen kale. Either work just fine, but frozen is great to always have on hand for last minute breakfasts! Add some natural sweetness from fruit! Here I use banana and pineapple, but you can use whatever you have on hand. I recommend mango, peach, kiwi or banana. Add protein. I like to use yogurt for it’s thickness and for a bit of tang. But you could definitely use protein powder or tofu. Put everything in a blender and blend until super smooth! Love smoothie?! Check out these other smoothie recipes! This quick-to-fix smoothie only requires 5-ingredients! It offers protein, fruit, veggies and even whole grains! Blend it up and be out the door in just 5 minutes. Pour water into blender followed by pineapple, kale, banana, and oats. Blend until smooth then add yogurt and blend until completely incorporated. For best processing, always start by adding the liquid to the blender first followed by remaining ingredients. Use almond or coconut yogurt in place of Greek yogurt.